We now have over 40 styles of shoes for diabetics in need of special shoes. iWantaPair provides in depth information on therapeutic shoes which offer extra depth and width to allow for foot swelling, diabetic neuropathy, and to accomodate diabetic orthotics. Shop for diabetic shoes in our Diabetic Shoe category. 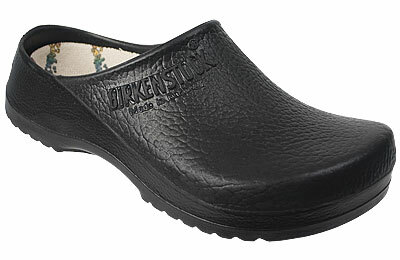 Dansko may not be as popular name as Birkenstock. But, their passion for comfort shoes is recognized by Podiatrists and Professionals. Mostly Dansko specializes in shoes for working men and women who easily come in contact with occupational hazards: nurses, doctors, cooks, teachers, or those with orthopedic or foot problems. Anyone who is around dirt, grease, grim, staining liquids (blood, wine, bleach, and paint) could use a pair of Dansko’s. Why? 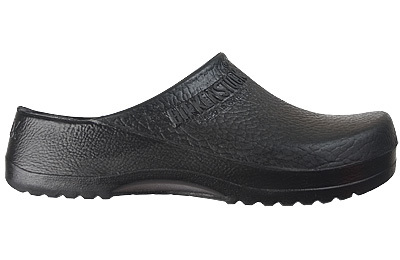 Their most popular clog, perfectly named the Professional, concentrates on comfort by the shock absorbing and flexible polyurethane (PU) outsole, spacious thermoplastic toe box to protect your toes, leather moisture repelling sock liner, easy wipe and dry leather maintenance, and slip on fully enclosed snug design. Not to forget, it’s also good for those with a high arch. These features permit all day wear with slip resistant safety whether you’re in a restaurant kitchen, kindergartner’s classroom, or surgical room. No wonder the American Podiatric Medical Association. Since all their clogs are hand-stapled, you must realize each shoe in each size will fit slightly different. Although the Dansko’s might fit odd at first, the rocking heel to toe motion forces the wearer to lift their feet, ensuring proper posture and eliminating foot and leg fatigue (the heel is supposed to fit a bit lose). Ok, so now you know what Dansko Shoes are about, there’s one more thing you ought to know: All the materials/finishes you can choose from! Below is a summarization of all the materials Dankso shoes, clogs, and sandals are available in. Care Instructions: EASY EASY EASY! These will last for years if you apply Dansko Oiled Leather Restorer to maintain the oiled finish and Dankso Beeswax Conditioner to increase water resistance. Rub out light scuffs with finger tips. A damp cloth will easily remove persistent dirt. So, which finish works best for you and your lifestyle? For this weekend only, ALL orders qualify for an additional 10% off! Just enter discount code “laborday” at checkout to receive the discount. Thanks, and enjoy your weekend everyone! 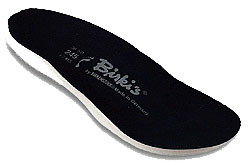 Created in Germany, Birki’s mission is to bring healthy foot support back to the customer. 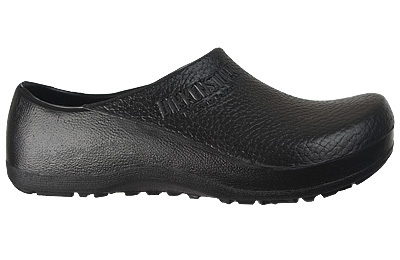 The Sport Clog, Super Birki Clog, and Professional Birki Clog are all TOP RATED for Chefs. But guess what else? They are perfect for gardeners, parents, campers, etc. 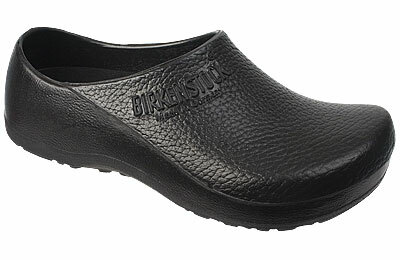 People who are on their feet all day, need a pair of Birki Clogs. These Clogs are washable, insole replaceable, and a complete Below is a quick informational chart to easily distinguish which one would be perfect for you! They all look the same, but no fear! 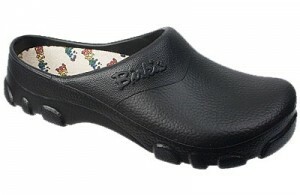 You can give a quick glance below to gain all the information you need to become a Birki Clog expert. 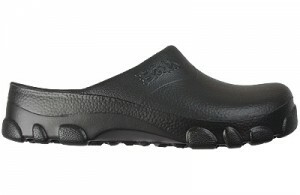 Extra Features: Rugged tread patterned and non-slip sole, Dishwasher safe, Waterproof, Capable of lasting over 10 years! Extra Features: Slip Resistant Sole, Dishwasher safe, Water and Weatherproof, Capable of lasting over 10 years! Upper/Lower Material: Polyurethane (A tough, waterproof, biodegradable synthetic. Resistant to heat, acid, oil, and grease. Wash with mild soap and water or in a dishwasher! Bleaching white styles will cause discoloration.) Seamless, Single Mold Construction. If you have stopped by our website, you probably have noticed our large selection of Birkenstock’s. 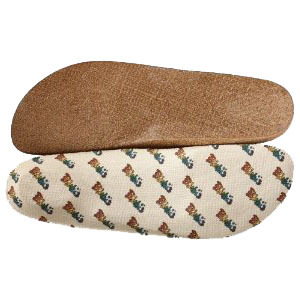 They focus on comfort of your feet, ensuring that you won’t be rubbing your feet in pain by the end of the night. If you care for your Birkenstock’s, then they will last for years and remain looking new. More Bang for Your Buck! These shoes will require more care then the shoes you pick up at DSW or Target, so I’ve put together quick tips for easy care to protect the shoes that.. PROTECT you! Seal the cork. The cork soles come sealed however! This seal will wear away over time depending upon how often you wear them. So, look for spots where the sealant is wearing away (without a glossy shine) and apply a few coats of Birkenstock Cork Life seal. This halts all deterioration on the cork. Clean the Uppers, realistically. This means when you decide to trek around at the park after a rainy day, don’t let it sit on there for days! Wipe the debris off with a damp paper towel. Also, there are leather conditioners for scuffs and stubborn spots. Not difficult but adds shelf life to your shoes. Wipe the footbed with Vinegar. Just for kicks! But seriously, if you are anything like me then you enjoy wearing your Birkenstock’s everyday, even while visiting the Zoo in 100 degree heat. Result: there will be a “stank”. Wipe the footbed with a vinegar saturated cloth and let sit out for a day. The vinegar acts as an antibacterial agent and destroys the germs that cause the “stank”. Bleach would kill the bacteria but for obvious reasons would only deteriorate the shoe worse. FYI, Birkenstock shoe parts are easily replaceable! Sure you can buy a new shoe but what if your sole is the only thing wore down? Birkenstock soles can be taken off and a new sole reattached. Way cheaper. Check out your local or online Birkenstock Repair shops. Birkenstock shoes can be completely replaced! Over time and wear and tear, your Birkenstock's will need a tune up. So, take them over to a local repair shop whenever a sole becomes too thin or a buckle is torn off. For more information on other Birkenstock upper materials or how to ensure your shoes are healthy, check out our Birkenstock Shoe Care Information Page. 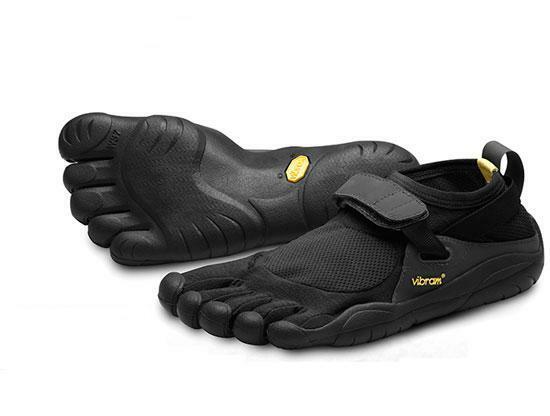 Now that Snuggies have hit the runways, Vibram’s Five Finger collection is next. Just keeping these shoes in stock has become iWantaPair.com’s greatest challenge of 2009! Why so much hype for a shoe that fits your foot like a glove? Men and Women can now return to barefoot freedom thanks to Vibram's Five Fingers. You don’t have to possess a survivalist mentality. Sure, sporting the Vibram Five Fingers lets you climb up volcanoes, hike through caves, and walk over rocks without changing footwear. However, for the regular person, who doesn’t have two weeks of vacation saved to gallivant around the world, these glove-fitting shoes can be worn anywhere. For a weekend camping trip, a hot yoga session, or a simple jog, these shoes offer the protection you will need. All you need is feet and a brain to retrain. Running Example: Vibram Five Fingers keep your heels elevated while forcing to you to land on the center of your foot allowing proper alignment. If you have a wide or narrow foot, these shoes let your toes spread out and have freedom, unlike a normal running shoe. iWantaPair Blog… Up and Running! Welcome to the Official iWantaPair.com Blog! Our purpose for this blog is to provide additional information about iWantaPair and the products we carry. For the upcoming weeks, we will be posting things such as new shoe arrivals, finding the perfect size for your feet, the importance of comfortable shoes with helpful articles, etc. Jdude on iWantaPair Blog… Up and Running!